There are literally hundreds of different systems you can use to reward and motivate your kids to do their best. Some are free, some are incredibly expensive, some bribe and cajole, some punish, some use stickers and charts, some use food and gifts, some use time outs and the list goes on and on. A mom could turn her brain to mush wading through all the choices. Well, in this surprisingly long post, I’m going to give you a sticker and treat alternative. In fact, I’m going to ask you to look at your children in a whole new way. I’m going to ask you to honor them! Adults who behave honorably are often given honors. Sometimes great speeches and banquets are given to honor a person. Awards are bestowed upon those we find honorable. And we do this because we look up to these people. We hold them high as an example to the rest of us. And we love to reward people with recognition when they have gone above and beyond what we ever expected. Children are frequently expected to behave poorly, to fail at every turn, to put in as little effort as we can imagine. Quite frankly, we adults all too often attribute the worst possible traits to children and then feel like we need to bribe and cajole them into being semi-human when in fact, children often want nothing more than to be honorable. They just aren’t always sure how to go about it! It’s an old saying that children will either rise or fall to your expectations of them. I have found this to be completely true. If you genuinely believe a child should behave in a certain way, your reaction when they do, or don’t, live up to your expectation will tell them how right or wrong they are. 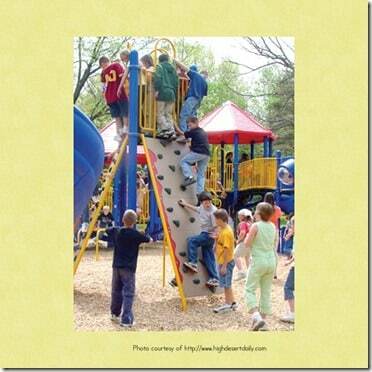 I had my children at a big playground one lovely summer day and we were all having fun. I was chasing my then 2-year-old as she giggled just outside my reach. The rest of my older children were playing together in another part of the playground, but I could hear their laughter over the din of the rest of the kids. It was beautiful. I noticed another family near by who was NOT having nearly so much fun. The siblings were bickering with each other and playing as far away from their mother and each other as possible. They were even squabbling with other children at the park over turns at the swings. Their mother noticed that I noticed her family and she gave me a helpless look and said “Kids will be kids!” I smiled back. Why did our kids behave so differently? Children are smart. Really smart. They can tell when you mean something and when you’re just going through the motions. If you hold a particular virtue, skill or behavior in high enough esteem, and they show mastery of it, you should recognize that and praise them for it. This simple act will shape their lives far more than stickers and chocolates. Then, at our meeting (this is a family meeting and we make quite a lot of it) we recount the things which we found most worthy of honor and we recognize those things with our Honor Tags. The children get to put them on a keychain (the ball kind so they are easy to open and close) and keep them forever. And they do. They know what every tag was earned for. They look at them and remember what they did that was so worthy of being brought up again during our meeting. It is very motivational! At our meeting, I am always sure to remind them that these tags are not the reward. Their growing character and honorable nature are the reward. These tags are simply our way of recognizing the amazing people they are becoming. Some weeks, we have a child who does not get mentioned and does not receive a tag. I never apologize and usually very little is said about this. But I can always count on that child working ever harder the following week, not to earn a tag, mind you, but to be worthy of honoring. There is a very big difference in the way both we as parents and they as the children are thinking about this reward system. The actions are not done to gain the tag. They are done to gain honor among the family. 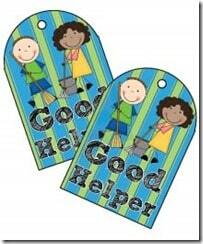 Little Learning Lovies has a full line of Honor Tags with more added all the time. You can even order custom tags! 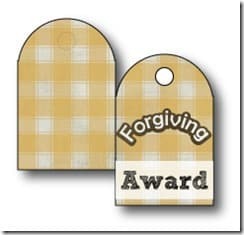 Our Honor Tags come to you printed, laminated, cut and ready to give. We invite you to take a look at them today and see if they might be something that your family could benefit from. Honor tags are currently being used successfully in households and classrooms around the world. They can work for you, too! Previous Post Read-Aloud: The Boxcar Children Next Post You Are! Parents often demand their children doing things good, but rarely recognize them for being outstanding. 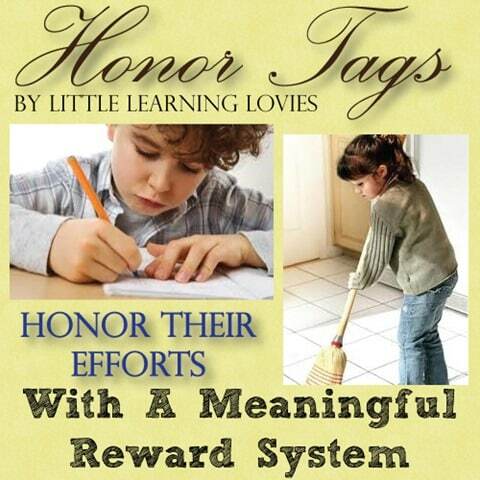 I love the way you expose the tag system to honor children for being good. Thanks for sharing in Pintastic Pinteresting Party. Cannot wait for your next sharing. I love how you illustrated the difference in expectations. I think it is important to remember how those impact our children. In fact a friend and I were discussing that yesterday. I think I will point her in your direction. I think she will love the honor tag system, she is looking for something new.